Extra large and super strong dog tether for large and giant breed dogs. 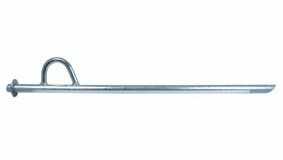 60cm long with a zinc-plated finish for rust-resistance. 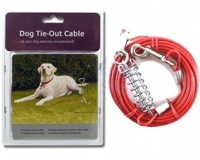 Secure the dog tether in the ground with a mallet and attach your dog's lead or tie-out cable to the built in hook.